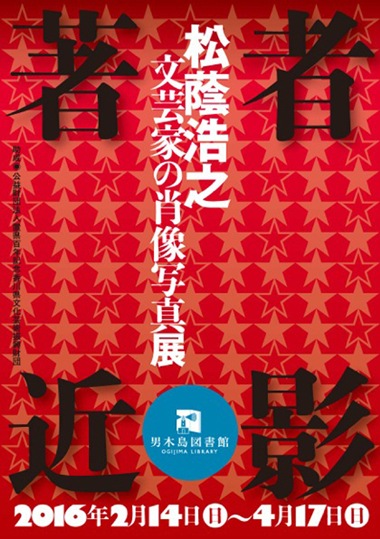 MATSUKAGE Hiroyuki’s solo exhibition「『著者近影』松蔭浩之・文芸家の肖像写真展」(unofficial translation: ‘Recent Photographs of Writers: MATSUKAGE Hiroyuki – Portraits of Literati’ will take place at Ogijima Library for its grand opening exhibition. The exhibition will feature a selection from the over 200 portrait photographs Matsukage has captured every week since 2011 for the book-review section of 女性自身 magazine, which will be shown together with actual copies of books by the authors depicted. It is planned to hold a public recital and a symposium during the exhibition period.